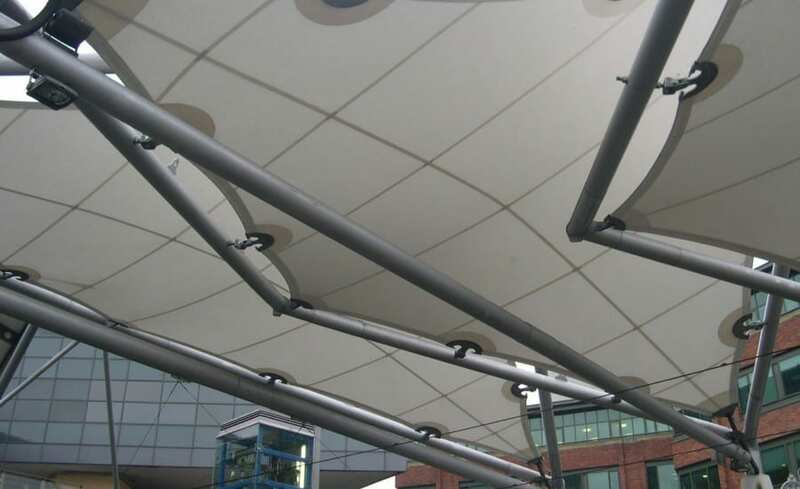 Four tensile fabric canopies at Connolly Station in the centre of Dublin form the main focal point for the platforms and tracks for the citys new tram system. 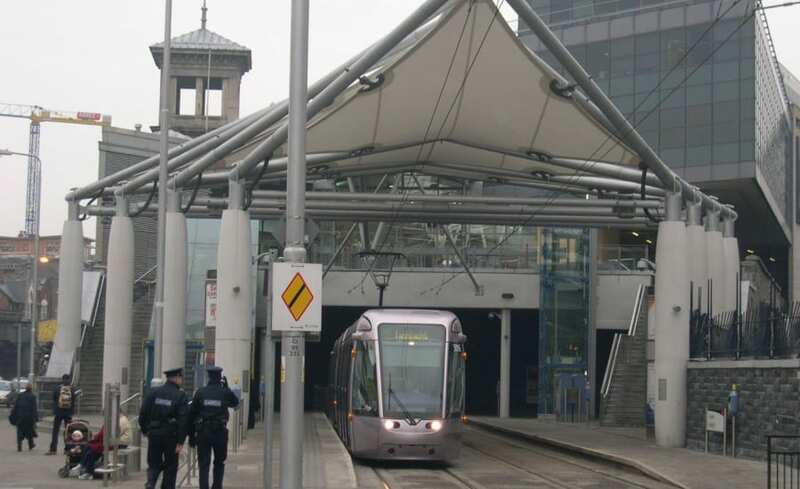 The arrow-shaped panels point in the direction of the track to send the trams off on their journey and to protect travellers from the ever changing Irish weather. 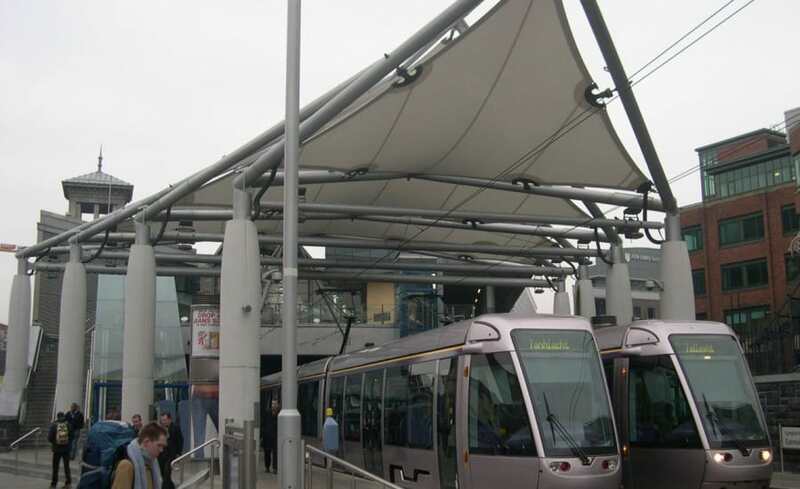 The fabric structure at Dublin’s new tram station forms a stylish canopy. The four diamond shaped panels designed by Architen Landrell in collaboration with Buro Happold, Bath, are connected to form a single structure designed to protect travellers from the weather, while making a statement about the way the city perceives itself. The clean lines designed to point in the direction of the outgoing trams are aptly applied to a tram station, where speed and movement are the focal point. The white fabric membrane panels, fabricated in PTFE glasscloth, are designed to be tough enough to withstand the weather. 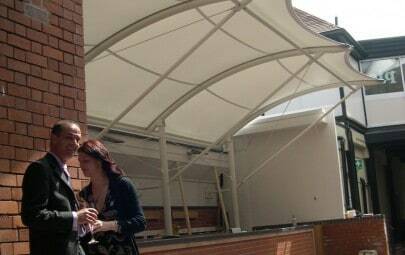 The installation of the structure proved to be a challenging task for the Architen Landrell workforce. 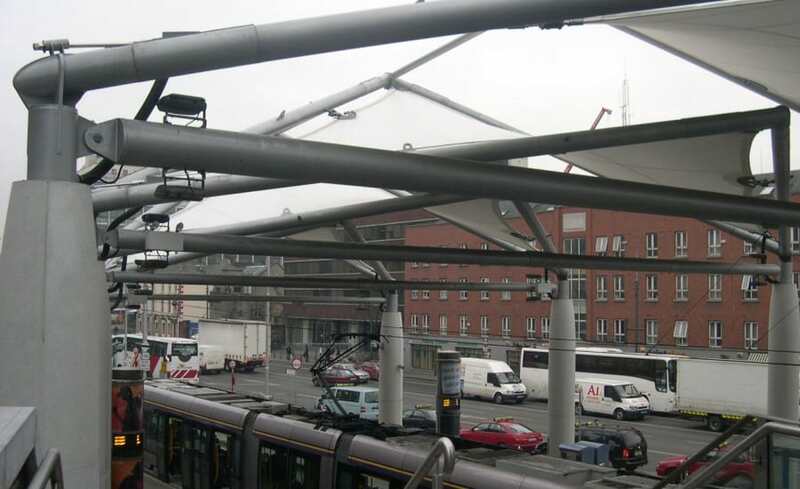 While the panels themselves were relatively straightforward, the tram system was “live” by the time the fabric membranes were installed meaning extremely large cranage was required to span the tracks with overnight working conditions necessary. The team embraced this challenge and completed it with skill and speed, leaving behind an unusual but eye catching structure.